While it is not the legalisation of online gambling many have been hoping for, Michigan has at least taken its first steps to allowing some form of online gambling. The House Regulatory Reform Committee has recently passed a bill that will allow operators to offer online sports betting to their customers. 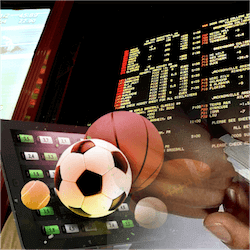 Many sports betting operations in the US want to offer their customers Smartphone betting options but without some form of legalised online gambling this simply cannot take place. The senate has approved the bill titled H4926. The bill specifically says however that online sports betting is allowed “if not prohibited by federal law” which means this bill will still operated in accordance with PASPA. If New Jersey’s challenge to PASPA manages to succeed then this bill will legalise online sports betting in the state. The bill sets out that there will be a licensing fee as well as a tax hike applied to online sports betting services. Operators would need to pay an initial $200 000 licensing fee after which the fee will be $100 000 per year. Licenses will be granted for 5 years at a time. From here the bill will need to pass through the senate to become state law. The bill will definitely not be voted on before the year is out but the ball is at least rolling to legalise online gambling in the state. Last week news emerged of a husband wife team in the US who were running an illegal gambling ring. The pair, 53 year old Bonnie Morley and 62 year old William Morley both pleaded guilty to the charges as part of the plea deal. In the deal Bonnie gets 3 years probation while William has to spend 6 months in jail. The couple were ordered to repay $1.1 million in monies, give up six of their vehicles as well as close on their business that acted as a front for the gambling ring. The pair would sell gambling machines for the front of house area of various establishments. The venue would then pay fees to the Morleys. The ring was soon uncovered by agents working in New York and Massachusetts; where the pair were operating their business.